Discover the story of Marc Neyret. The meeting with Stephan Peter Stadler, a Bavarian master brewer established in Denmark, would be crucial to his project. Sharing a vision and enthusiasm to produce high quality beers, they joined together to create the Brasserie de Vézelay. The Brasserie de Vézelay produces pure malt, organic beers using traditional methods that respect the very strict Bavarian quality standards. Consequently, the beers have no added sugar or other additives. Highly fermented and neither filtered nor pasteurised, the beer preserves all the flavours of malt and hops. 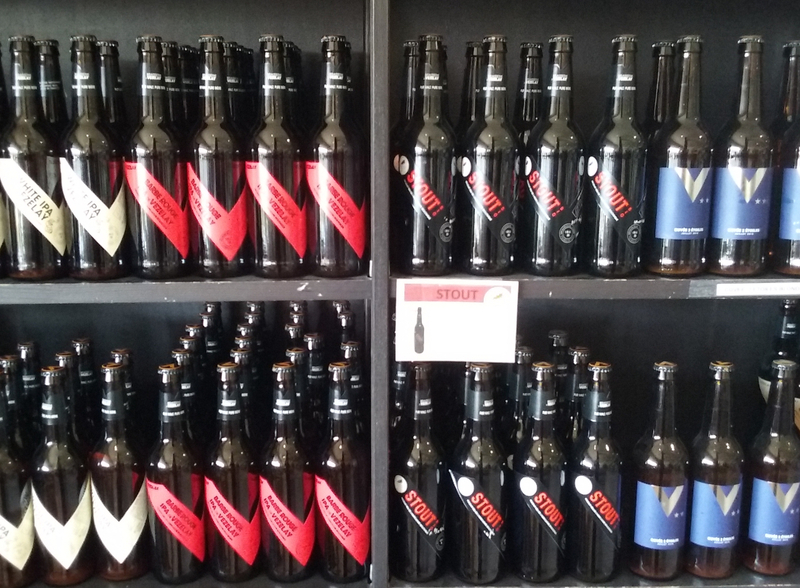 is totally independent and produces organic beers that respect the Bavarian purity law passed in 1516. Not wishing to make concessions to the quality of our beers, the brewery chooses to work with local suppliers. For example, the water used comes from a natural source that supplies the village. The left-over cereals, rather than being sent to waste, are given to local farmers based near the brewery as feed for their animals. Conscious of offering quality products to discerning customers, the brewery has won 12 awards at the annual Concours Agricole held in Paris and 5 at the World beer awards: prestigious recognition of the work and diligence of the brewery in the quality of the beers it has produced. The Brasserie de Vézelay is engaged in sustainable development and respect for the environment. As well as a desire to produce the very best for the consumer, mutual partnerships and exchange of ideas and knowledge are important factors in producing our beers. This desire for excellence, the DNA of the brewery, sees itself rewarded by numerous certifications given to it. The brewery invites trade clients, lovers of beer and the uninitiated to sample our beers, enjoy a glass in pleasant surroundings or purchase from our well stocked shop. One-off concerts, tastings, simple snacks and summertime picnics await and brewery tours are available by prior reservation.